To follow Tom, click the buttons. 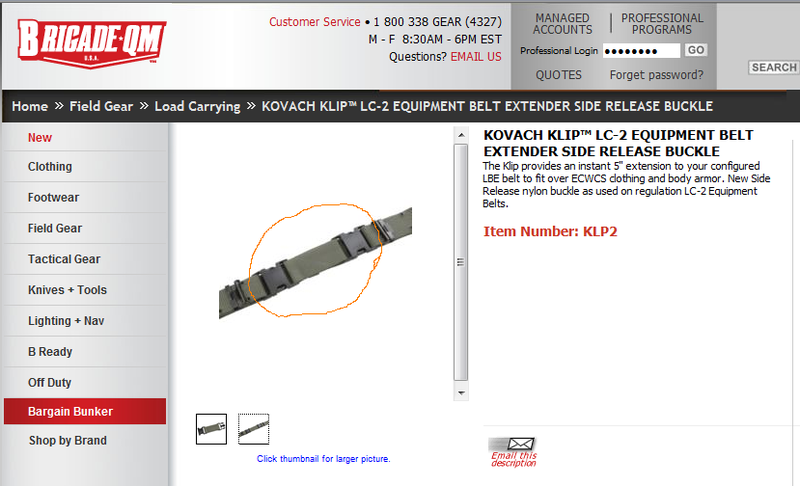 Please be sure that you scroll all the way down to the bottom of this sidebar. Click to see some of Tom's acting projects. 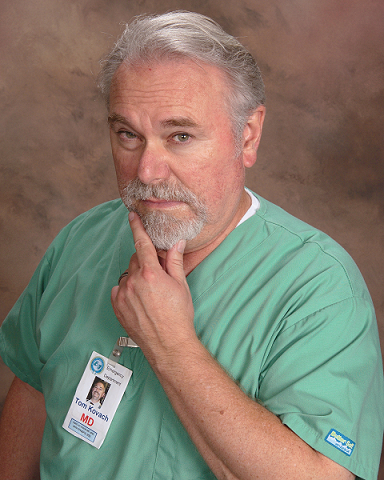 Tom is not a doctor, but he has played one on television. 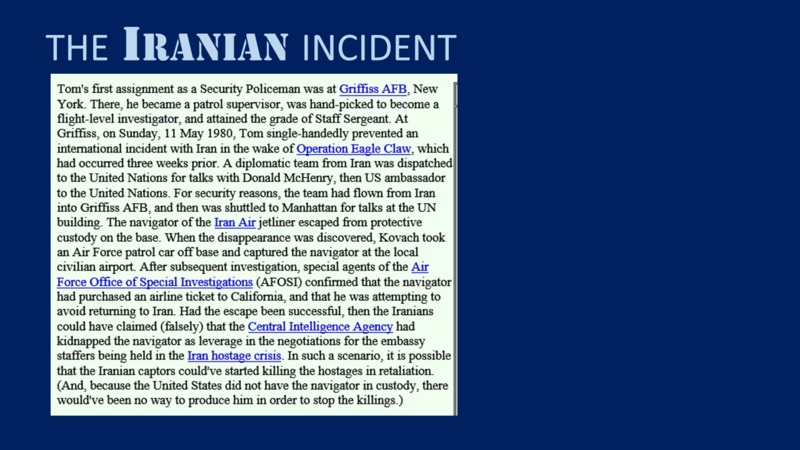 Tom also is not the director of the CIA, but he has played one on television. 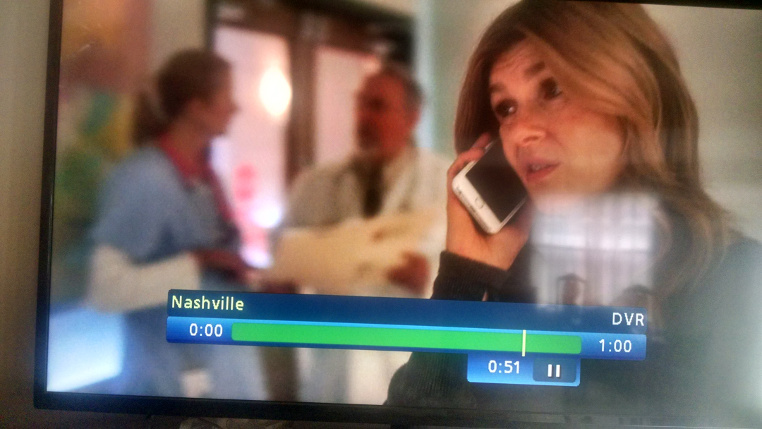 Here is a shot of Tom from the TV drama series Nashville, with star Connie Britton. Tom's most popular online column is "Kill the Tip Tax" (published on Tue, 13 Nov 2007). Tom's work has been published on many popular sites. Here are a few of Tom's favorite quotes. 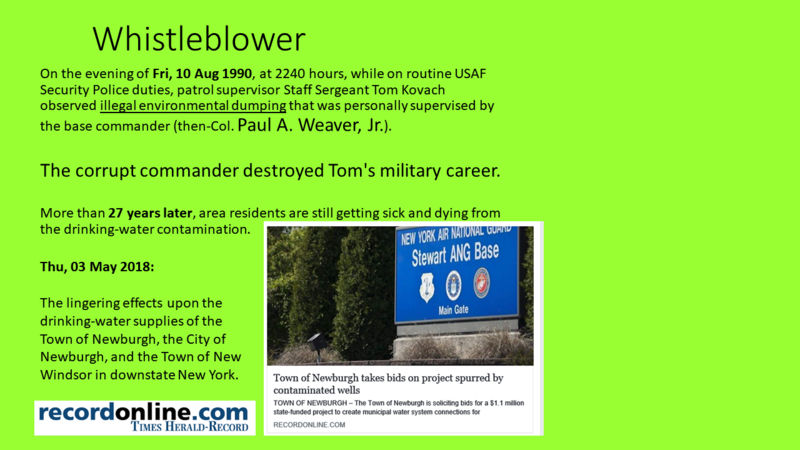 In 1990, Tom "blew the whistle" on illegal environmental dumping at his last Air Force assignment. 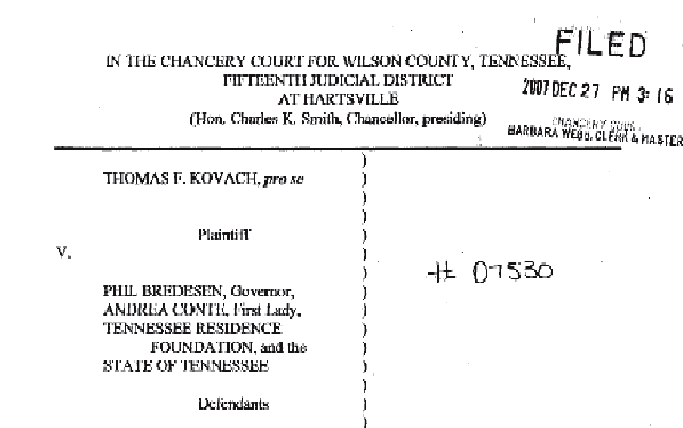 Tom filed a lawsuit against the governor of Tennessee to prevent construction of the wasteful "Bredesen bunker". 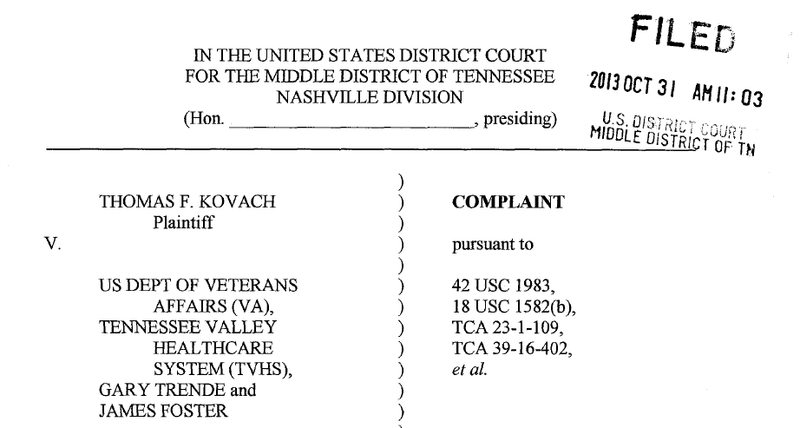 Tom also filed a lawsuit to stop unethical activity at the VA hospital in Nashville. Tom has worked in several law offices, and for a private investigator, as a paralegal. 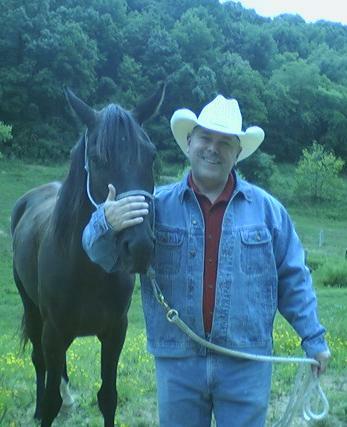 Tom has even worked on two trail-riding ranches as a wrangler. Click here to return to the starting point. Click here to see what Tom really enjoys doing in his 'spare time'.